Not sure what your loved ones want? 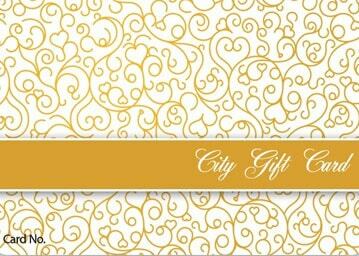 Make their wishes come true with a City Gift Card! For seasonal festivals such as Thadingyut, Christmas, New Year & etc. A minimum of Ks.5,000 and a maximum of Ks 1,000,000 can be loaded on each card and these cards can be used at all City Mart Supermarkets (Yangon and Mandalay), all Ocean Supercenters (Yangon, Mandalay & Nay Pyi Taw), CityCare Pharmacies, City Books & Music, City Baby Club, Seasons Bakery & Cafe, Popular Bookstores and future participating retail outlets.